16 November, Barcelona. 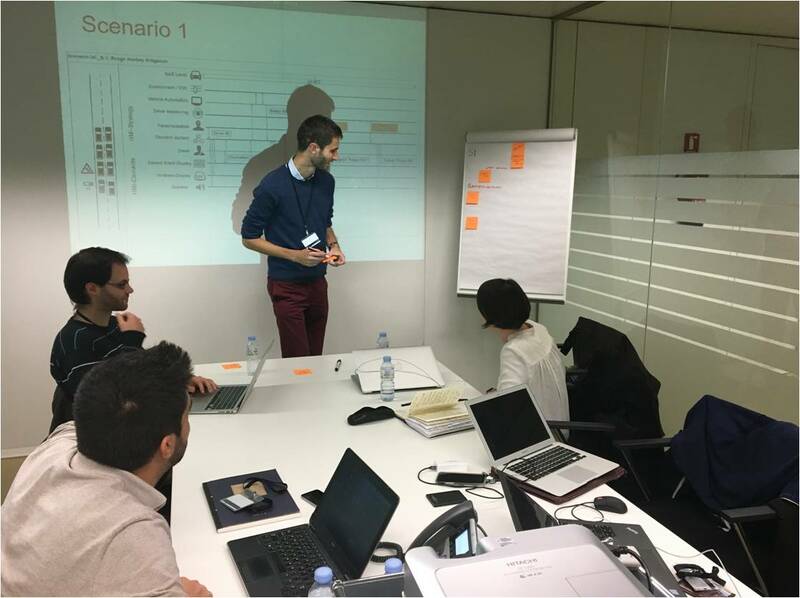 With the opportunity of the 5th plenary meeting et Barcelona, the kick-off workshop of the Use Case B HMI activities has been held at the RACC premises, in Barcelona. The main goal of this Use Case B is the demonstration of how a better management of the driving range information, coupled with an anticipative and protective approach, will decrease electric vehicle range anxiety. UX and EV experts, designers and developers from Vedecom, Fraunhoffer IAO, TomTom and Valeo made together the first steps towards a great HMI. Their aim is to tackle Range Anxiety by building confidence in the system, and use automation to assist the driver in overcoming an unfortunate situation of insufficient range.